Biography: B. Eric Berkley was born in Weatherford, Texas. He received his Bachelor of Arts degree in English from The University of Texas at Austin in 1993. 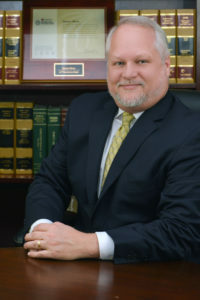 He graduated from Southern Methodist University School of Law in 1997, where he was awarded membership in the National Order of Barristers, in recognition of his success in mock trial and moot court competitions. After graduating from law school, he joined the firm of Patterson Lamberty practicing insurance defense. In order to broaden his experience, he decided to practice personal injury and has since returned to insurance defense. Eric initially joined The Silvera Firm in June 2001. He was with the Firm from 2001 until 2004. In 2007, Eric returned to continue the practice of insurance defense. Eric has had the opportunity to handle personal injury claims arising out of automobile accidents, premises liability, toxic tort, non-subscriber and workers’ compensation insurance. He also handles subrogation cases for the firm. Eric is a member of the State Bar of Texas and the Dallas Association of Young Lawyers. Eric is licensed to practice before Texas state courts, as well as the U.S. District Court for the Northern District of Texas. Member: State Bar of Texas; Dallas Association of Young Lawyers.